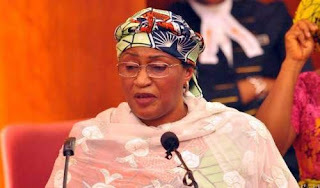 Alhassan also disclosed her intention to contest the Taraba State governorship election in 2019, saying: “I won the election in 2015 but I wasn’t destined to be Governor. Aisha Alhassan is the Minister of Women Affairs, believes that the All Progressives Congress (APC) will rule Nigeria forever. Alhassan said this in Abuja on Monday while addressing journalists shortly after the inauguration of state chairmen of the party. She maintained that despite the wide-ranging rancour in the party, nothing would stop it from retaining power in 2019 and beyond.